The 14 three-thousanders in the Stelvio National Park – six of which have summits more than 3,500 m above sea level – offer countless opportunities for ski tourers looking for a challenge off-piste. 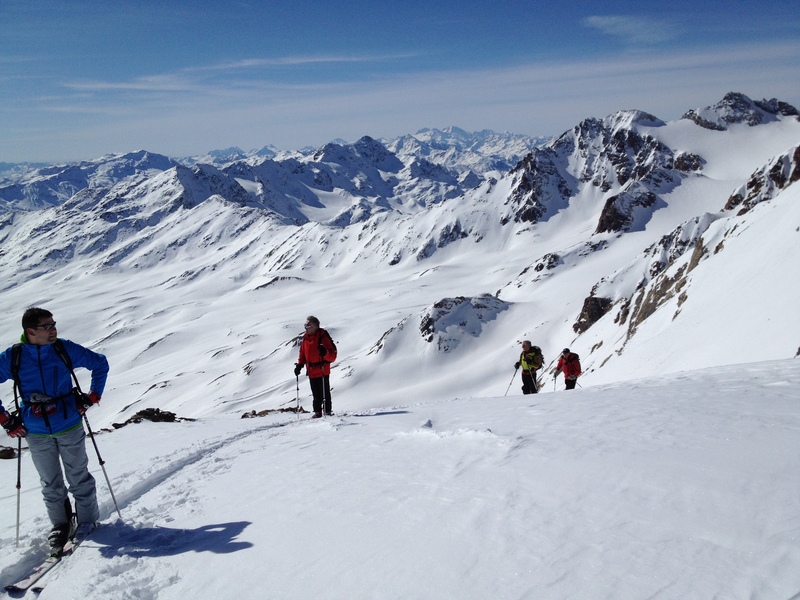 The distinctive mountains of the Ortles mountain group provide the perfect setting for enjoyable and challenging ski tours, which can be embarked upon independently or accompanied by staff from the Ortles Alpine School and Alpine School “Feel the Mountains”. Locations worth visiting are the Solda summit at 3,376 m above sea level, the Cevedale mountain at 3,769 m or the “Kleinen Angelus” mountain at 3,318 m.